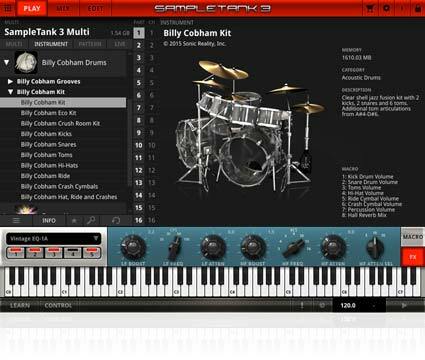 Billy Cobham Drums is a new high definition drum and groove SampleTank 3 instruments collection. It includes more than 2 amazing gigabytes of over 2,000 meticulously recorded drum samples that include more than 400 audio grooves played by Billy Cobham, the legendary Mahavishnu Orchestra and Miles Davis drummer whose amazing performances continue to inspire generations of musicians both old and new. Billy Cobham Drums was recorded by legendary producer-engineer, Ken Scott, who produced the jazz fusion classic album, “Birds of Fire” by Mahavishnu Orchestra with Billy on drums. IK US founder and Executive Producer, Dave Kerzner, reunited the two legends at Long View Farm Studio in Massachusetts where they recorded the samples for this instrument on a classic Trident A Range console, the same as was used on the “Birds of Fire” album. 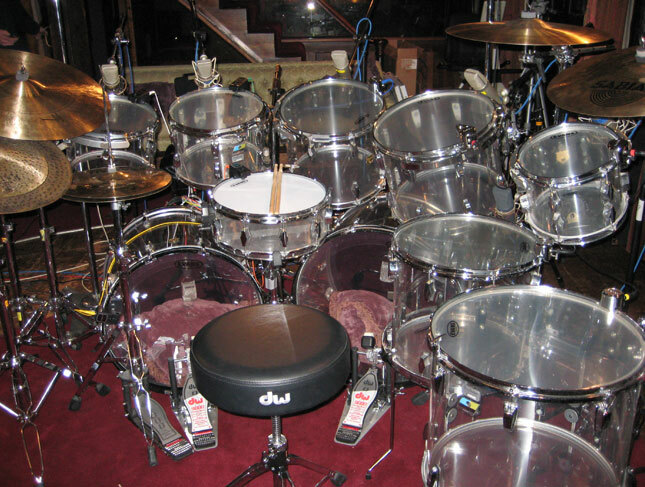 For supreme authenticity, a clear-shell Fibes drum kit was flown in from Los Angeles just for these sessions. 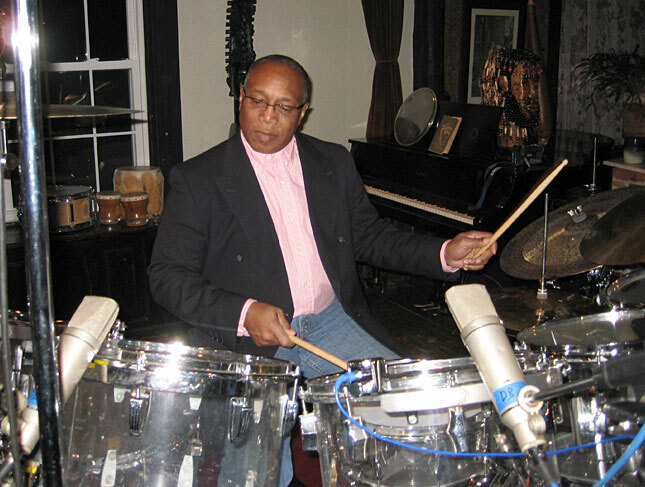 Billy Cobham Drums is perfect for pop, funk, hip hop, jazz fusion, rock, blues and nearly any kind of music where you a need a deeply expressive audiophile drum track that has been recorded without compromise. Get your today: This great sounding SampleTank 3 instruments collection is available via SampleTank's Custom Shop and through the IK Store.